the darnedest thing is written and designed by Steven Hum with the following..
Other tools used to construct this site can be found here. The current dotfiles containing the configuration files and scripts described in the various articles can be found here. it’s a slow and methodical process. Step by step, extending an already feature rich window manager, molding it to one’s will. Fixing corner cases that invariably pop up over extended usage. Then adding visual flair with ricing scripts to enhance the user experience and keep it fresh. Distraction free plugins for vim complete my particular setup which is now complemented by an artful desktop. Time to return to the other threads on this site which were always the original intent of this hardware (keyboard and layouts) and software detour to create a publishing environment..
Split keyboards have been my daily driver for awhile now so the Planck hasn’t seen a whole lot of love on this site of late. 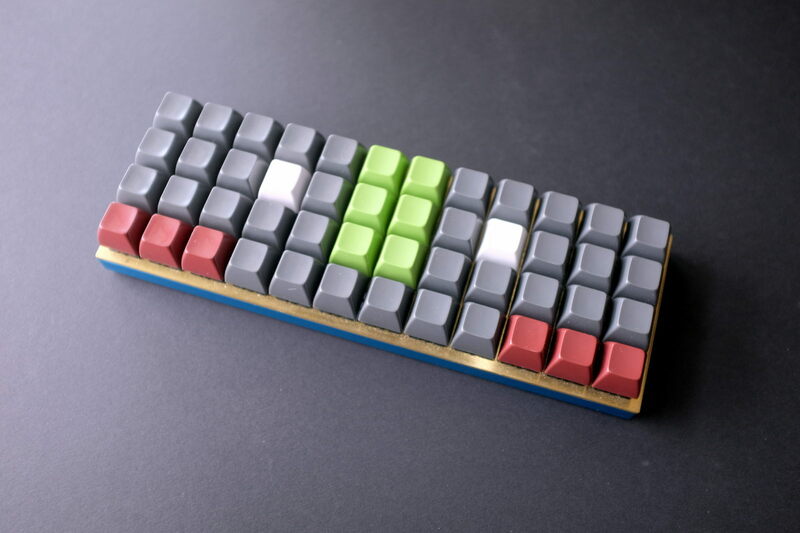 Time to acknowledge this solid keyboard that opened up the world of QMK to me. For awhile now, it’s BEAKL Zi variant mirrored that on the Splitography keyboard to maintain some of its unique chords. As the Chimera becomes my daily driver of late, it is time to transpose that to the Planck.. The outer one shot thumb modifiers seem very superfluous – a testament to the compact efficiency of the BEAKL Zi layout!